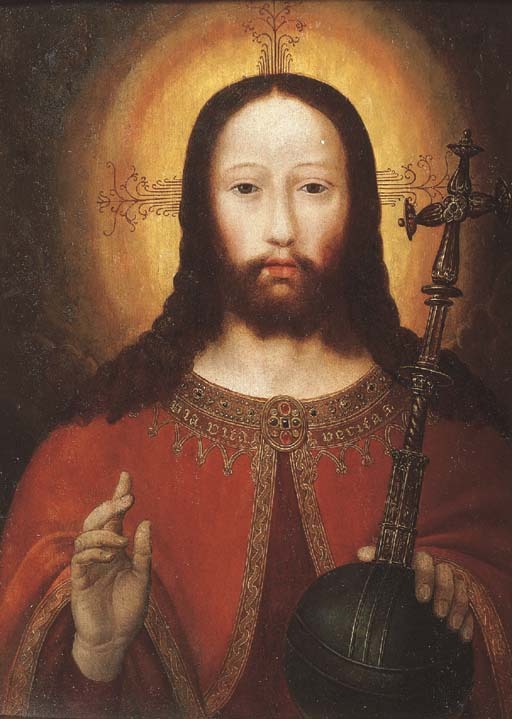 The composition recalls the depictions of Christ by Gerard David in the John G. Johnson Collection, Philadelphia (M.J. Friedländer, Early Netherlandish Painting, 1971, VIb, p. 105, no. 200, pl. 205) and the Carnegie Institute, Pittsburgh (ibid, no. 201, pl. 205).